Cannon AFB Doppler Radar 24-Hour Estimated Rainfall Totals. 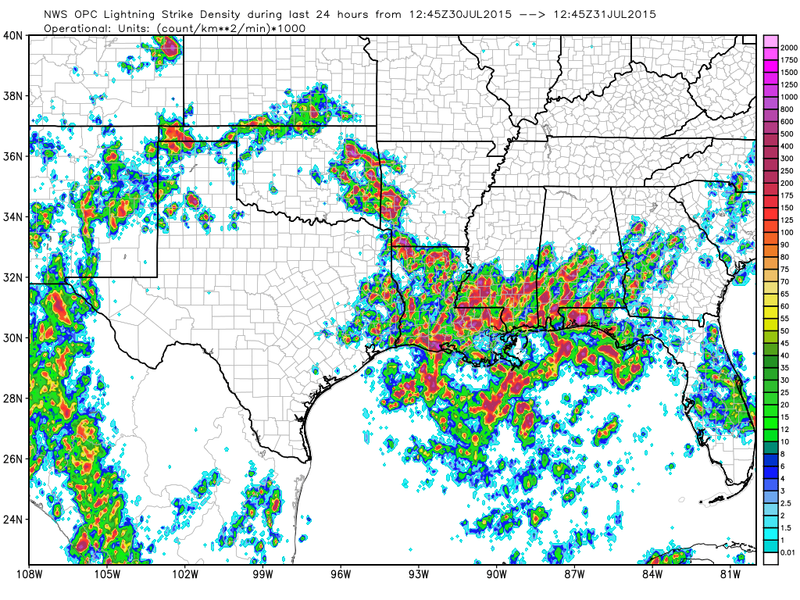 (As Of 11:01 AM MDT This Morning). A CoCoRaHS volunteer rainfall observer located 15.7 miles north of Texico, in Curry County, near the NM/TX state line, measured a 24-hour rainfall total of 6.05" as of 8 AM MDT this morning. Not far from this station (indicated on the map above by the blue 6.05" rainfall total) the Cannon AFB Dual Pol Radar estimated that a 24-hour total of 7.40" had fallen (indicated by the red dot). This total may be slightly high since it appears that the radar was over estimating rainfall totals in this area by 1.50" to 1.90". Additional Heavy Rainfall Over The Area. (As Of 11:19 AM MDT This Morning). 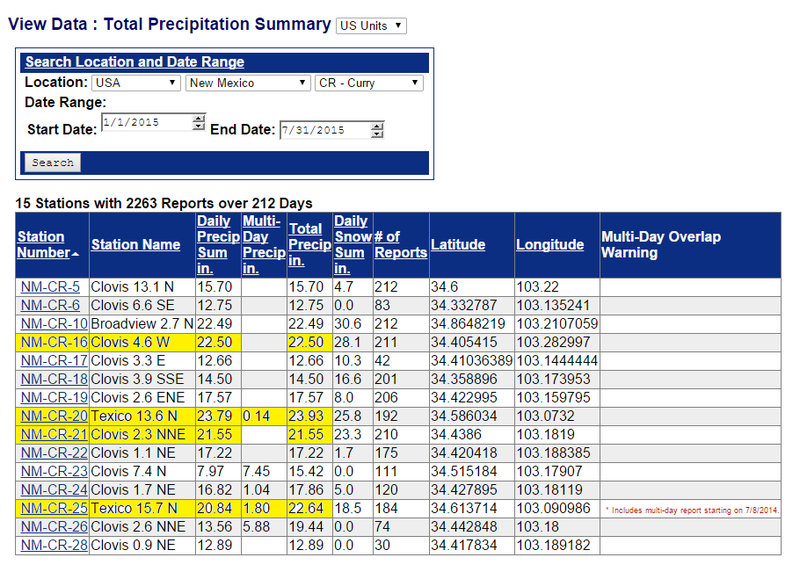 2015 Rainfall Totals For Curry County, NM. 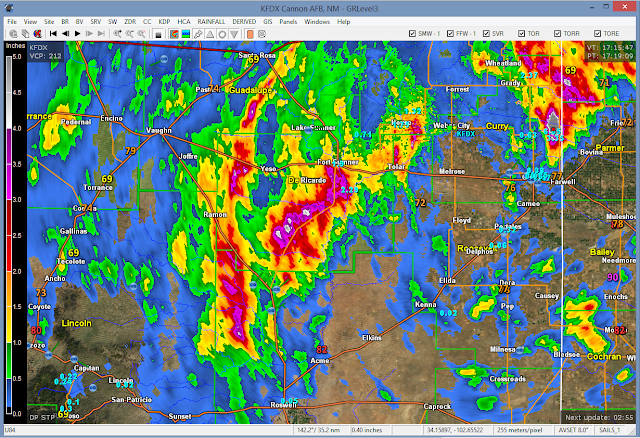 Curry Co 24-Hour Rainfall Totals. Curry Co July Rainfall Totals. 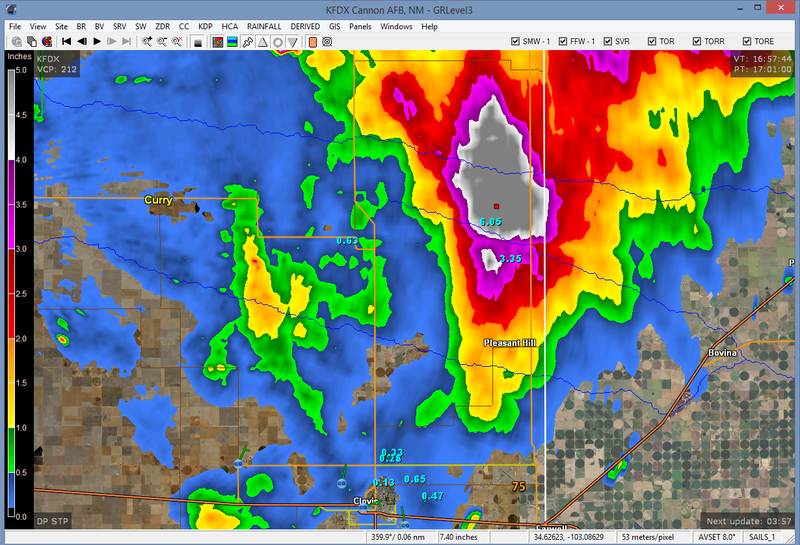 Curry Co May Rainfall Totals. Curry Co Year To Date Rainfall Totals. 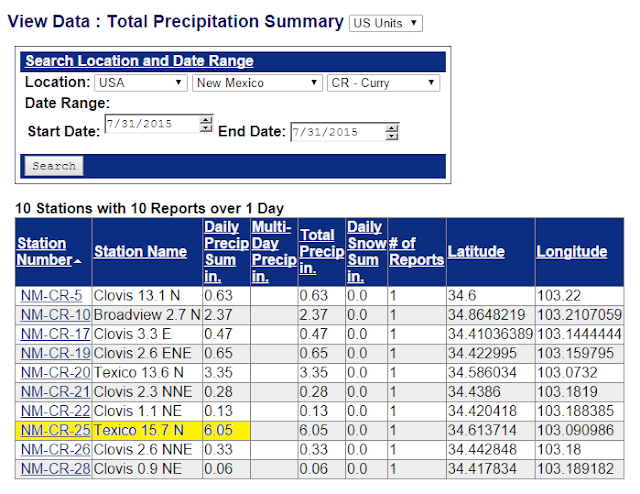 Areas north of Clovis near the Texico area are having a banner year rainfall-wise. That area saw 10" to 12" of rain fall in May. 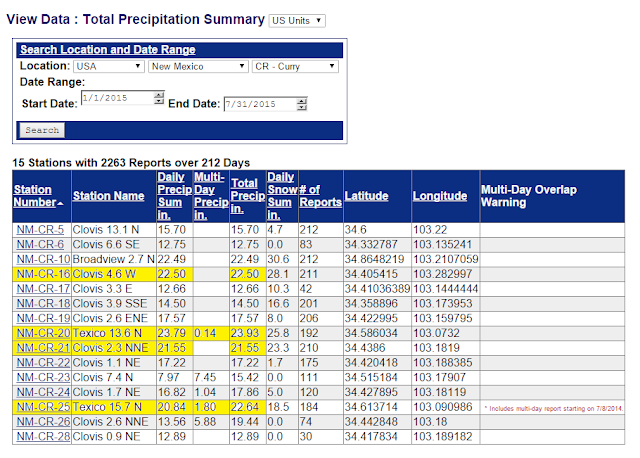 Their year to date rainfall totals as of 8 AM MDT this morning are averaging 20" - 23". 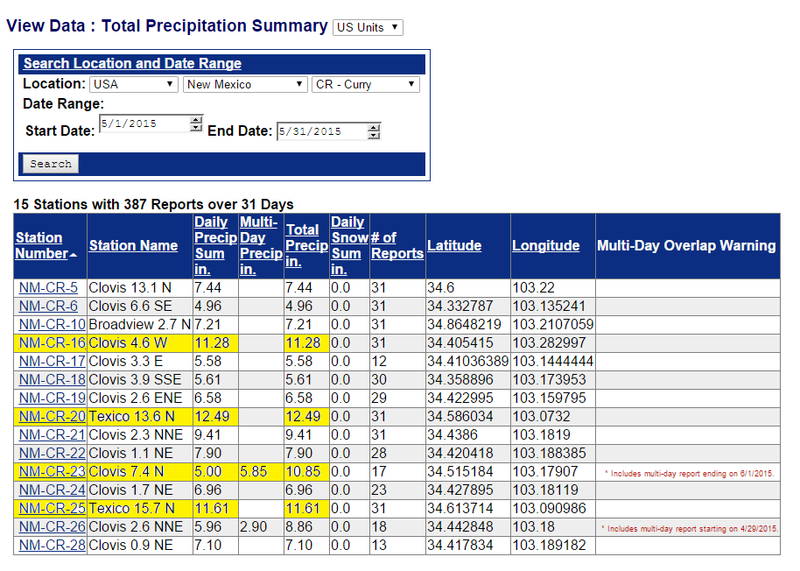 See the Albuquerque National Weather Service Facebook post on last nights rainfall for additional info. 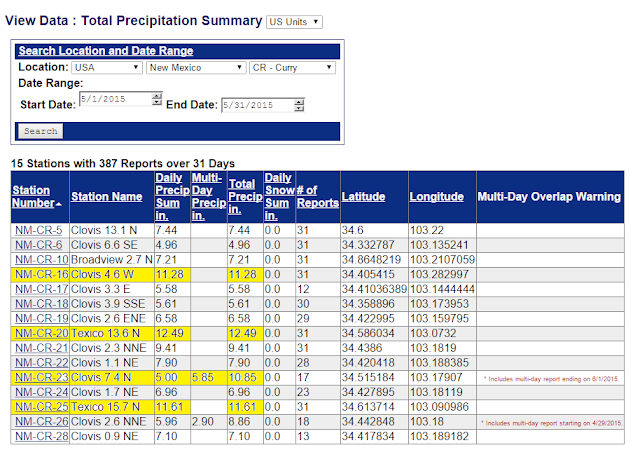 Additional rainfall totals from across New Mexico can be viewed here.